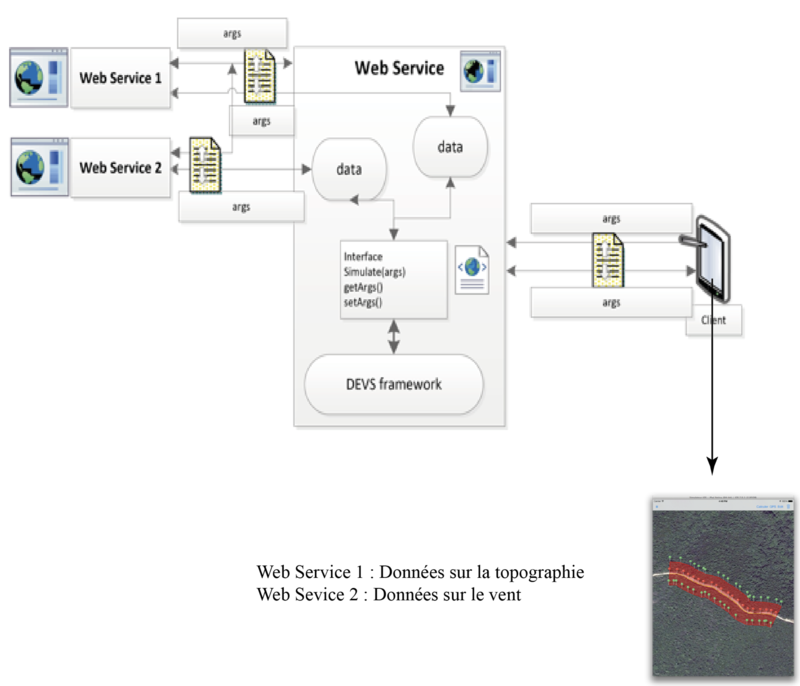 Working in collaboration with the University of Corsica IT team, the modelling team developed DIMZAL, a tool that should be able to ascertain the size of intervention site with the main aim being the protection of firefighters. A tool that should then, after a few modifications, be able to ascertain the required size of bush clearing around buildings. To carry out the calculations, we have chosen to host the software structure more commonly known as the simulation "framework" on an internet server (web service) accessible from thin clients such as a tablet or smartphone, a web service being a computer program that supports communication and data exchange between applications and heterogeneous systems in distributed environments. To achieve our goal, we used our own simplified physical models to draw on computing times compatible with applications in the field. Moreover, the use of our models ensures that we have more in-depth knowledge as to their scope in terms of applicability. We therefore used the results of the simplified physical propagation model developed by us as input to the safety distance model also developed by our group, which itself uses our solid flame model. These models are then described by means of a discrete event modelling approach and simulated in a flexible, open environment to allow data exchange on the network. It should be noted that the calculations are always based on the assumption that we refer to as the "critical case": local slope of the terrain and collinear wind direction. Another hypothesis adopted is that of large fires (emissivity = 0.9). A table on the left hand side allowing access to previous calculations as well as the option to create other ones. To initiate the calculation functionality, you can select from among several different types of vegetation and select a height for the fuel matter. Cartography over the rest of the screen. 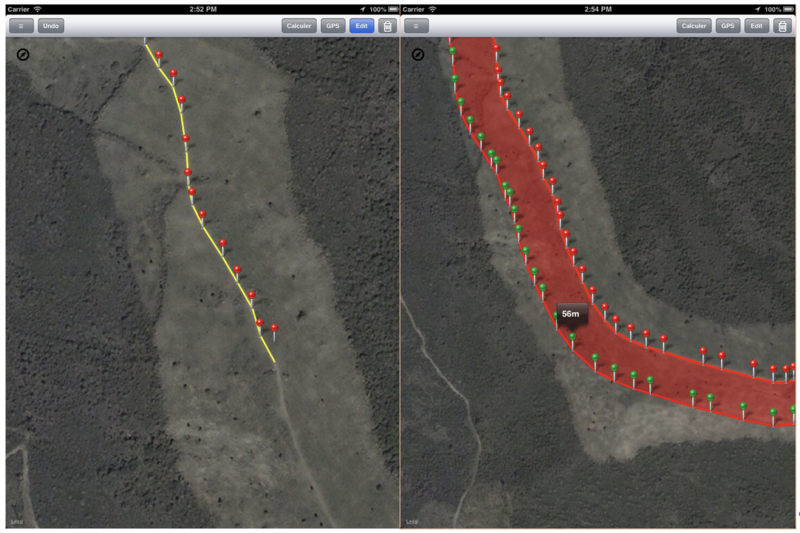 This map shows the user’s location if available, the curves on which the calculations are requested and a representation of the firebreak. ASD values are available if a particular area is affected. The so-called "user-tracking" mode: this allows for selection of the curve on which the calculation is going to be based from the ground. In fact, the user’s positions are geo-localised with the outline compiled automatically. The second is the so-called "drawing" mode. 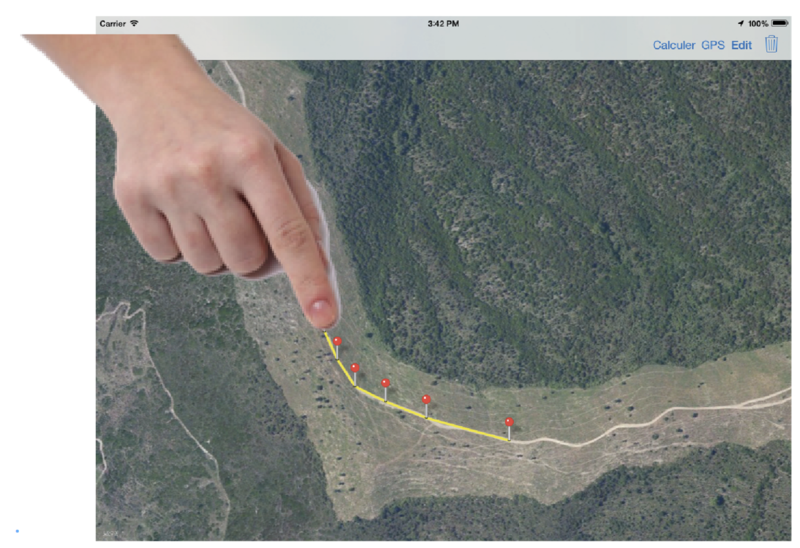 For this mode, the user manually positions the area points at which they would like to compile a representation of the firebreak. The first version of this tool allowing for sizing of the operations was submitted to the S.A.T.T. (Technology Transfer Acceleration Company) of the South-East for registering a patent in September 2013. The S.A.T.T. is currently in the research phase with manufacturers interested in promoting the product.